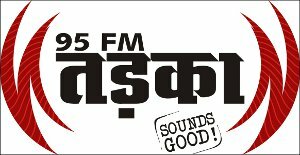 95 FM Tadka is the No.1 Radio Station in Jaipur; it rocks Jaipurites with its awesome content, rocking presentation and soul touching local connect. The unique nature and the distinct approach made it the No.1 FM channel (IRS survey after survey) in Jaipur. On the moving wheels of life, Tadka turned five in Jaipur market on 15th August 2011. The occasion gave the perfect timing to rewrite the history with everlasting effect to make the fifth anniversary memorable and most talked about event of the season. The idea was to celebrate the fifth anniversary with a path breaking theme; the festive theme of 95 fm Tadka was Nonstop RJ-ing by RJ Payal, RJ Lucky and RJ Sachin for 295 hours and creating a record. The RJ Marathon took off on 15th August at 08:00 am. It required immense endurance and passion for RJing; the RJ who took the lead from 8 am on the 15th of August continued his/her show until 08:00 am the next day (Absolutely Live) before another RJ took over for the next 24 hours. The RJ Marathon went on for twelve days successively and completed 295 hours on 27th August, 2011. 95 FM Tadka started the trend of setting up new benchmarks with its path breaking efforts on the 28th May, 2008 when one of the known RJs from the Tadka team made a record for longest solo RJing. The Tadka RJ went on and on for 28 hours, which also got it a place in the record books. On 15th August, 2010, the team 95 FM Tadka came up with an out of the box trick and achieved a unique feat by creating a record for longest (195 hours) nonstop RJing ever. The fact that no other FM channel dared to better the initial record set by the 95 FM Tadka last year was a proof that it was no mean effort. The team 95 FM decided to raise the bar this time to make the occasion even more special by breaking the record of 195 hours set the last year. Kamal Saini, Programming Head 95 Fm Tadka says, “We always think innovatively and create something that is different from others and unique and is sure to be loved by the listeners. We were totally away from our homes for 12 days at a stretch thinking only about the Marathon. We also played Housie on air, which is also a record of sorts because no other station has done this till now and was made possible only with the support of the entire team”.